Places for Souls: The Plains of Tession. Performance art piece created by Kevin Greeland, performed by Wallpaper Performance Company, dance performers Dina Apple and Jennifer Oliver, arranged by choreographer Alicia Peterson-Baskel and sound environment by generative sound designer Blair Robert Nelson. Places for Souls video from the second performance on 4/13/13. The performance took place over 4 hours during the closing reception of my art show. There are 2 versions; one a 2-minute mini and the other version a 20 min video. 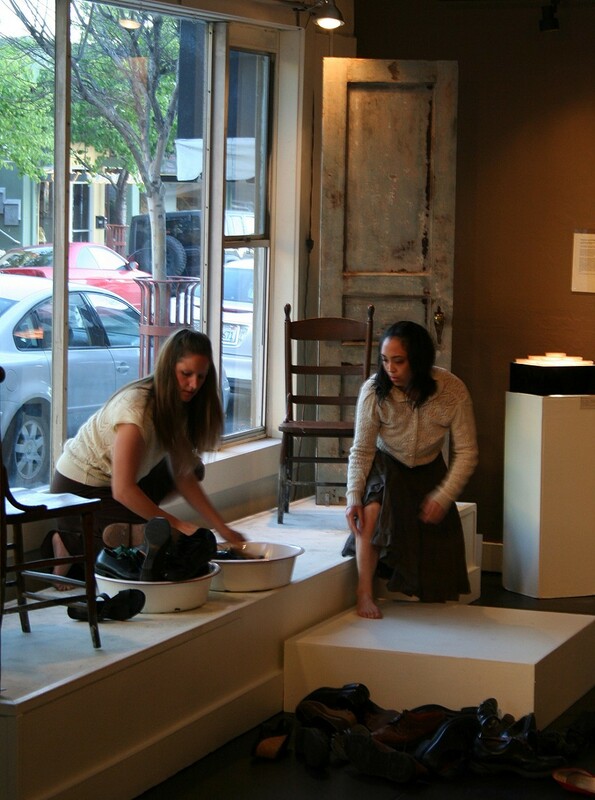 Performance art piece created by Kevin Greeland, performed by Wallpaper Performance Company, dance performers Jennifer Oliver and choreographer Alicia Peterson-Baskel and sound environment by generative sound designer Blair Robert Nelson.